The day after Thanksgiving is now synonymous with shopping deals, so it makes sense that Record Store Day — which has being pointing consumers to local independent shops for 10 years — would expand from the weekend after Tax Day to Black Friday as well. The selection of exclusive items is nowhere as robust as it is in April, but they do always have a few items that pique our interest. (As much as we like Todd Rundgren’s Something/Anything, Talking Heads’ Remain in Light, and Bobbie Gentry’s Ode to Billy Joe, which are all being reissued, it’s not hard to find affordable vintage copies, so they didn’t make the cut.) 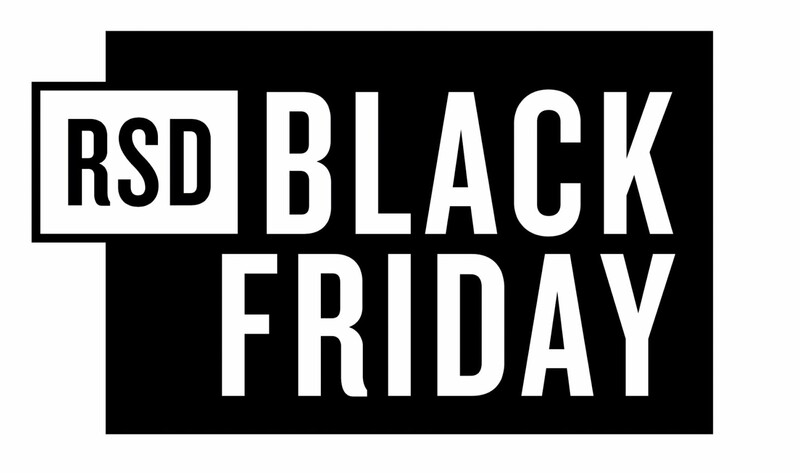 We sifted through the list to find 10 RSD Black Friday items we’d actually like to own. Check out our list below — what items do you have your eye on? Producer / arranger / composer David Axelrod’s great 1968 album Song of Innocence was reissued for Record Store Day back in April and now comes two other records: his third album for Capitol, 1970’s concept LP Earth Rot, as well as the album he made with his son, Michael, under the name Pride. Earth Rot is completely bananas with Axelrod mixing, in his own words, “contemporary music with ancient yet timely words set to the theme of ecology.” It’s a real trip. Pride, meanwhile, takes a psychedelic slant on folk rock and baroque pop. OG shoegazers Catherine Wheel don’t seem to get the cred bands like Ride, My Bloody Valentine, Lush and Slowdive do, but their ’90s run, which included college radio hits “Black Metallic” and “Crank,” holds up well. This is the first-ever pressing of 1996 compilation Like Cats and Dogs, which contains single mixes, b-sides, covers (Pink Floyd, Rush), and other rarities. Drawing mostly from the Chrome era, the b-sides here show off a soft, delicate side of the band — the presence of Talk Talk’s Tim Friese-Greene, who produced much of the band’s early record, is really felt here. Japanese cult artist Cornelius, who returned with his first new album in a decade last year, compiles an LP’s worth of unreleased songs, live recordings and more, including their NPR Tiny Desk concert, and remixes and reworks by two members of Yellow Magic Orchestral (Ryuichi Sakamoto and Haruomi Hosono), Beach Fossils, and more. In indie rock circles, Devo need no introduction (though they may still be “the band with the funny hats who wrote ‘Whip It'” to many others), and their 1978 debut album Q: Are We Not Men? A: We Are Devo! still sounds and timeless and innovative today. And though many of Devo’s best songs were still to come, their debut remains their finest front-to-back album. So it’s exciting news that you can now own this piece of art punk/new wave history on picture disc for the first time ever. The Stooges’ third album Raw Power is their loudest, most furious, and — no pun intended — their rawest, and its influence on the sound and aesthetic of punk is obvious from the album’s first couple chords. It remains hugely influential today, and even with decades of heavy music to compete with, it still rips harder than most albums ever. For RSD Black Friday, Sony Legacy is releasing Rare Power, which collects rare tracks from the album’s sessions. “Eight of these nine outtakes and alternate mixes are available on vinyl for the first time,” and Rare Power also includes the first-ever commercial release of Josh Mobley’s remix of “Gimme Danger” (that was heard in the Watch Dogs video game). Very few bands that fit into the “gothic metal” umbrella had the commercial success that Brooklyn’s own Type O Negative experienced after the release of Bloody Kisses, and even less with that description were able to reach that height without also being Hot Topic mall pop in disguise. Twenty five years have passed since Type O Negative debuted their new sound and videos on MTV that brought ex-Carnivore frontman, genius and future Playgirl centerfold Peter Steele’s newer band from L’Amour to a massive (and often goth) audience. And it’s been over eight years since ‘The Green Man’ left this earth, but Type O feel even more important and respected than ever — especially in the metal world — thus making it a perfect time for this 3-LP expanded reissue on green (natch) vinyl. The third LP is comprised of bonus tracks making their debut on vinyl, which by the way you can get signed by two members (one of which actually played on the album, and the other who played its songs live countless times) at Generation Records in NYC from 3-5pm on Friday. Also pick up the Type O Negative / Trivium split 7″ RSD exclusive while you’re there (it has Trivium covering Type O’s “I Don’t Wanna Be Me” on one side, and the original on the other.) Rest in Peace, Petrus. Four of the most famous groups from Los Angeles’ early-’80s “Paisley Underground” scene take on each others’ songs on this double LP. Among the songs here: The Bangles take on The Three O’Clock’s classic “Jet Fighter”; The Dream Syndicate cover The Bangles’ early hit “Hero Takes a Fall”; The Three O’Clock cover The Dream Syndicate’s “Tell me When It’s Over”; and Rain Parade take on The Bangles’ “Real World.” Maybe next year someone can reissue the great Rainy Day albumwhich featured members of all those bands covering Dylan, The Velvet Underground, and more. Beloved Jim Henson Muppets special Emmet Otter’s Jugband Christmas has been a holiday tradition for 40 years, offering up a down-home, otter-based spin on the classic “Gift of the Magi” story. The soundtrack is loaded with great original songs by Paul Williams, who wrote The Muppet Movie songs, as well as Barbra Streisand’s “Evergreen,” The Carpenters’ “Rainy Days and Mondays” and “We’ve Only Just Begun” and more (like The Love Boat Theme), but it’s never been released in any form until now. Before Chuck Dukowski teamed up with Greg Ginn to form Black Flag, he played in the metal band Würm, who briefly reunited a few times in the early ’80s and released some music on Ginn’s SST Records. For RSD Black Friday, they’re releasing Exhumed, a compilation featuring their out-of-print album Feast, plus unreleased songs, demos, live tracks, and other rarities. It also includes liner notes by Dukowski and never-before-seen photos. If you like the metal direction Black Flag went in on My War (which Dukowski helped write but didn’t perform on) and haven’t checked out Würm, that’s worth changing and this comp will be a great place to start (and of course longtime fans should find it just as desirable). Harmony-laden baroque/psych pop as we know it wouldn’t exist without The Zombies’ 1968 classic Odessey and Oracle. Home to their gigantic single “Time of the Season” and 11 other just-as-good-or-better songs, it rivaled The Beatles and The Beach Boys and paved the path for The Flaming Lips, Animal Collective, Fleet Foxes, Grizzly Bear and tons of other bands who make trippy, lush pop. For the first time ever, it’s being released on picture disc. In what is either the greatest or the absolute worse release of RSD Black Friday, Weezer are releasing their strangely popular cover of Toto’s “Africa” on a picture disc that is… shaped like Africa. It also includes their cover of Toto’s “Rosanna” on the flip. Bless the rains. For more highlights, check out the one featuring exclusively heavier titles at Invisible Oranges. Full list at RSD’s site.